He was born at Ealing, in Middlesex, on 1 January 1867, the third son of a man who had renounced his priesthood in the Catholic Church in Ireland and moved to England. Montague was educated at the City of London School and at Balliol College, Oxford, from which he graduated in 1889. The famous editor of the Manchester Guardian, C.P. Scott, recruited him to the staff in the following year. In 1896 Montague became chief leader writer; in 1898 he married C.P. Scott’s only daughter Madeline. 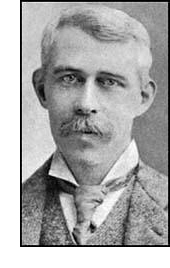 Montague, like Scott, was a fierce critic of the Boer War, but they did have a difference of opinion on the Great War; Montague’s leaders firmly blamed Germany for the outbreak of war, while Scott was more conciliatory and determined on peace. Montague enlisted in 1914, and was demobilised in January 1919. He returned to the Guardian, although not as the main leader-writer. The Oxford Dictionary of National Biography lists those Guardian leaders of his where he talks about the pre-War period as being “a lost Golden age” compared with the “discordant, blatant and vulgar” post-war years. Articles published on this theme in 1920 and 1921 became his book Disenchantment, which seriously criticised not so much the war itself as the British conduct of the war. He expressed similar opinions in a novel, Rough Justice, published in 1926, which drew on his own experiences (recorded in his diary). In December 1925 he retired from the Manchester Guardian. He lived at Burford, Oxfordshire, but retained his connection with Manchester, and indeed died there, of pneumonia, in 1928. His last two books—Action and Other Stories (1928) and A Writer’s Notes on his Trade (1930)—were published posthumously. In 1924 his son Evelyn Aubrey Montague (1900-48) ran in the Paris Olympics. The movie Chariots of Fire called him Aubrey and made him a graduate of Cambridge; in fact he called himself Evelyn, and had gone to Oxford. My information comes mostly from Keith Grieves’ entry in the Oxford Dictionary of National Biography.